alpha ventus heralded the beginning of a promising offshore wind energy era in Germany. 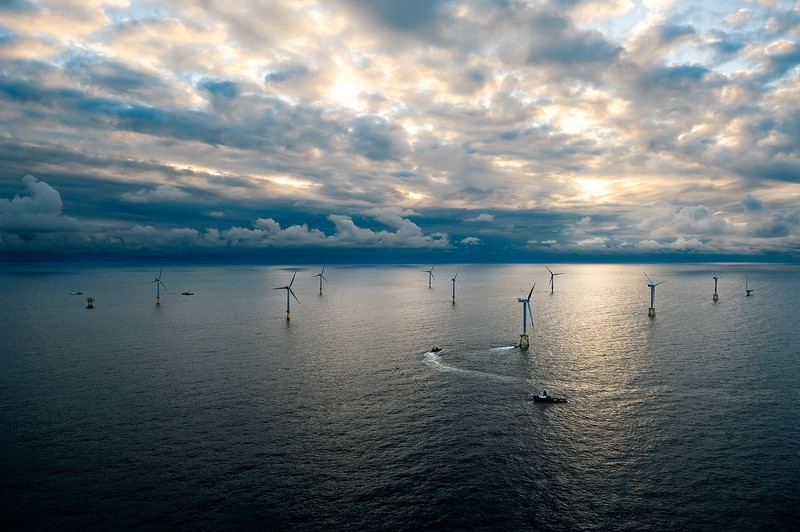 The project was the first offshore farm off the coast of Germany and now represents a successful first step toward a new era of energy generation. 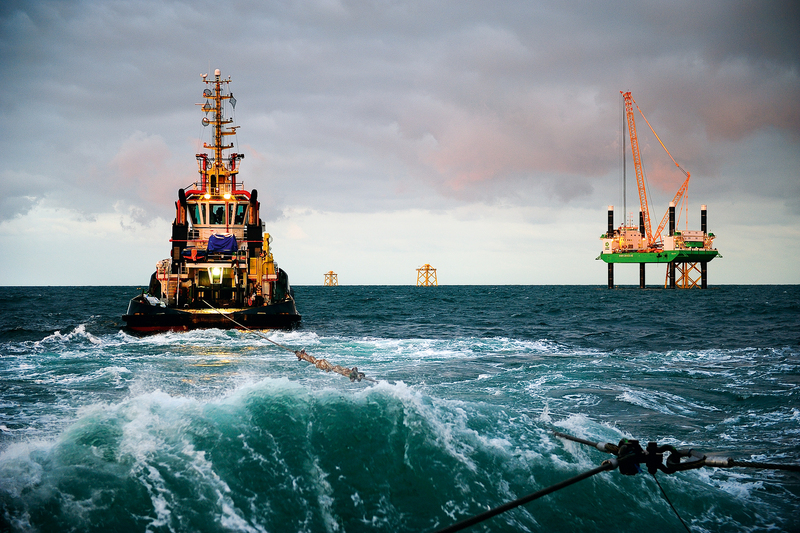 The test field proved that German offshore projects far out at sea are feasible both technically and financially. In September 2005, the German OFFSHORE WIND ENERGY Foundation acquired the project rights to the offshore project originally known as Borkum West. In late 2006, the site was leased to Deutsche Offshore-Testfeld- und Infrastruktur-GmbH & Co. KG (DOTI) under the name alpha ventus as a test field for testing and studying wind energy generation at sea. EWE, E.ON, and Vattenfall joined forces to found the operating company in June 2006. 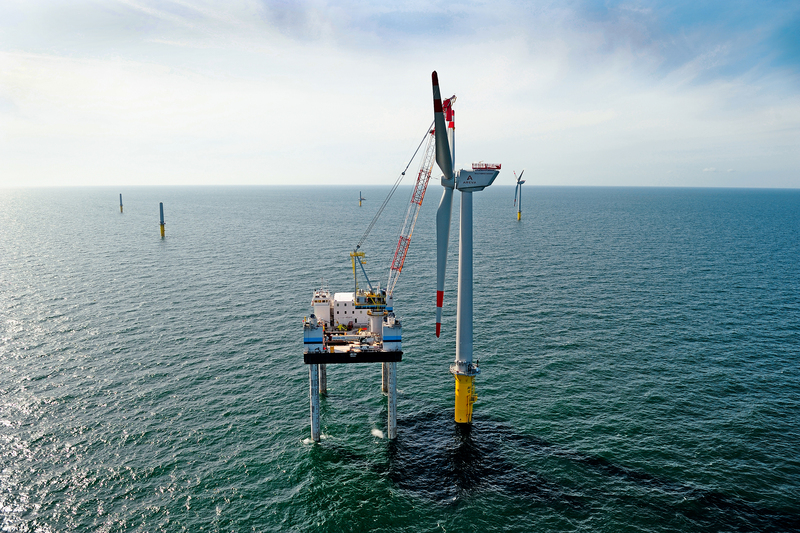 As holder of permits for alpha ventus, the Foundation supported and provided assistance during the entire process from the original idea (2005) through to the commissioning of the first wind farm in German waters (2010). 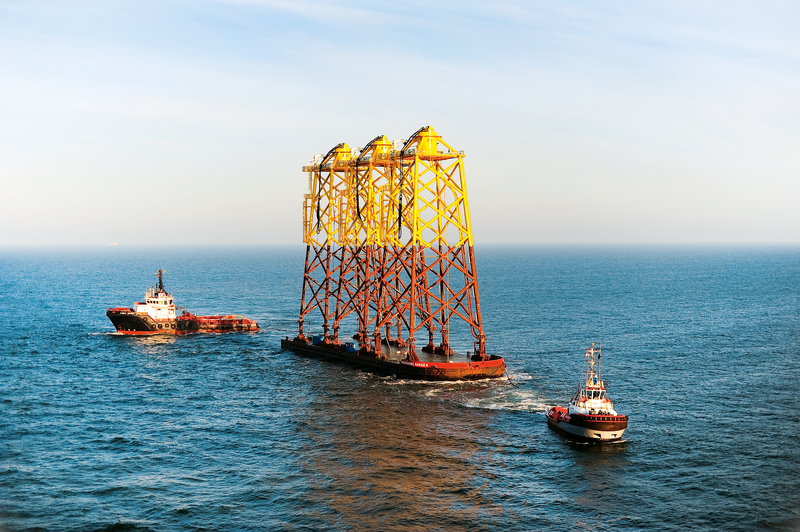 As the first German offshore wind farm, alpha ventus went into operation in April 2010. In its capacity as an offshore test field, alpha ventus has two kinds of wind turbines: six REpower (now: Senvion) 5Ms and six AREVA Wind M5000s. The wind farm's nominal output is 60 megawatts. The construction phase alone for the farm's turbines and foundations took less than a year, an impressive feat 60 kilometers from shore at a water depth of about 30 meters. The farm is in the open sea of the German Exclusive Economic Zone (EEZ), outside the 12 nautical mile zone. The prevailing wind direction at the site is 210-240° (southwest), and average wind speed at hub height is ten meters per second (m/s), or wind speed category 5. In strong weather conditions, waves can at times exceed ten meters; the main wave direction is 330° (northwest). The location far from shore is a result of the special conditions that apply for the German North Sea coast, where offshore wind farms are only granted construction permits for sites beyond the German Wadden Sea (a natural World Heritage Site) and out of the way of shipping paths near the coast. The open North Sea ensures good wind conditions; however, water depths of up to 40 meters, aggressive saline air, strong and occasionally gusting winds, and waves present extreme challenges in terms of installation logistics, structural aspects, operation, and maintenance at offshore wind farms far from shore. The turbines at alpha ventus were installed in a lattice-like formation with about 800 meters from one turbine to the next. Four rows of three turbines each form a rectangle with a total surface area of four square kilometers, the equivalent of about 500 soccer fields. The dimensions of the individual turbines are impressive. Including the rotor, the AREVA turbines are 148 meters from waterline to blade tip – about as high as the Cheops Pyramid – while the 155-meter REpower turbines are almost as tall as the famous cathedral in Cologne, Germany. The original forecasts for alpha ventus – 3,900 full load hours – were far exceeded in the farm's first complete year of operation, totaling 4,450 full load hours. In February 2014, alpha ventus reached the milestone of a total of one terawatt-hour of energy generated. That amount of power is equivalent to the annual consumption of some 285,000 households. The operating years of 2011 to 2013 saw alpha ventus reach a total of 12,675 full load hours. From 2011 to 2013, the offshore test field's yield amounted to an average of 253.14 GWh per year, exceeding yield forecasts by about ten percent. 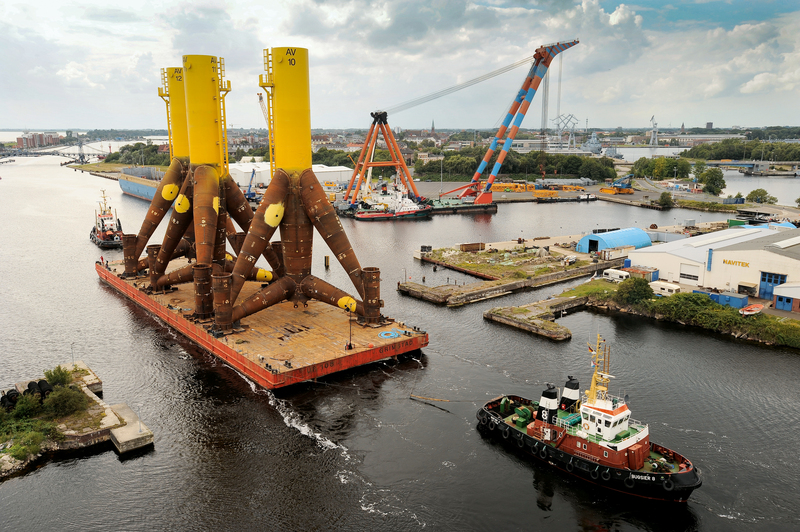 The construction of the offshore wind farm alpha ventus was a milestone for the continued commercial use of wind energy generated out at sea in Germany, Europe, and farther afield. Click here to visit the homepage of alpha ventus.